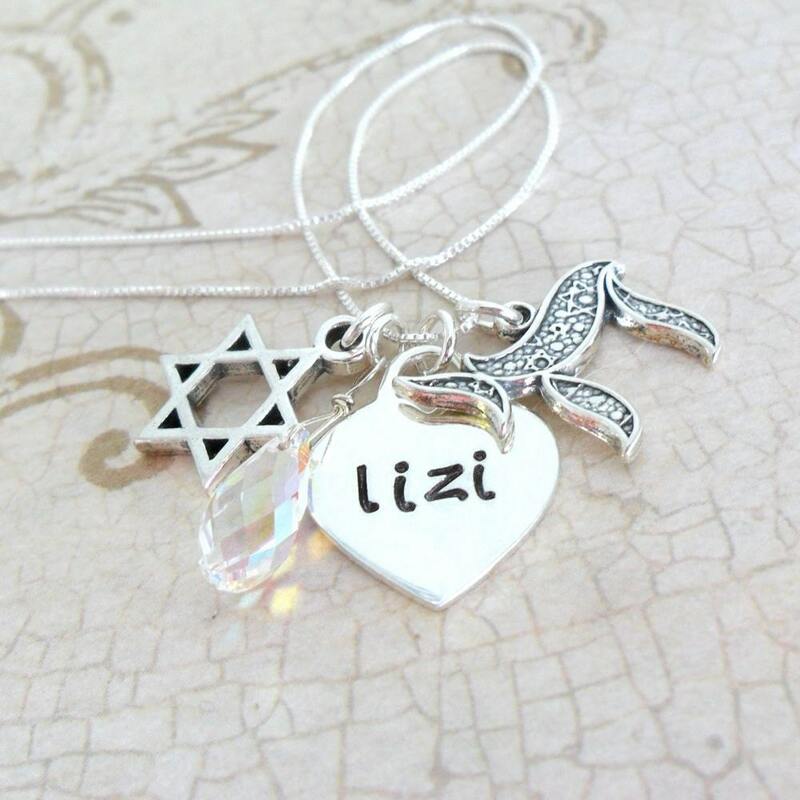 Perfect for any Jewish gal! 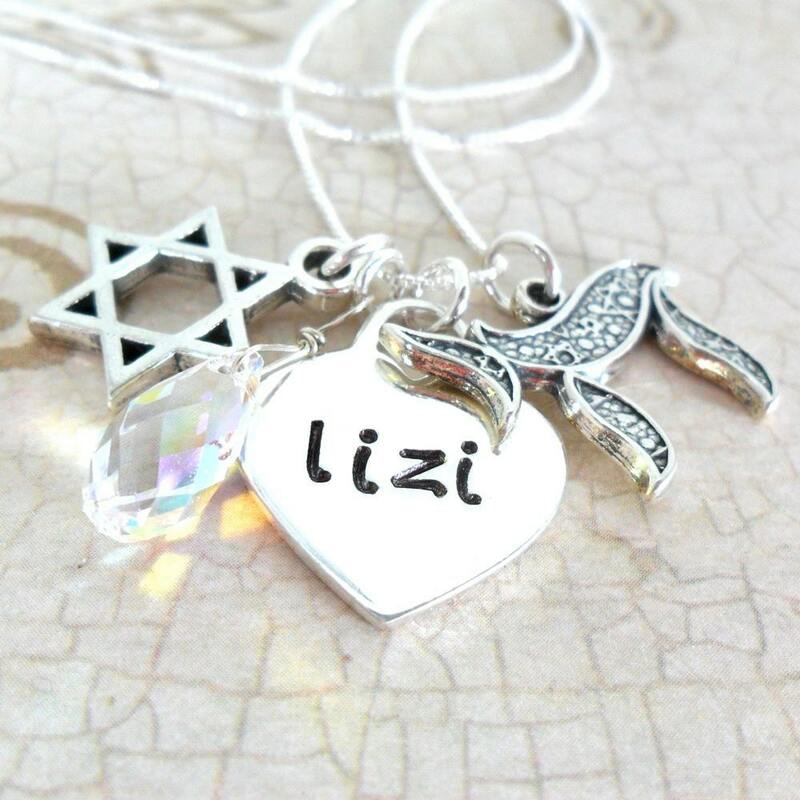 Especially perfect for a Bat Mitzvah girl! 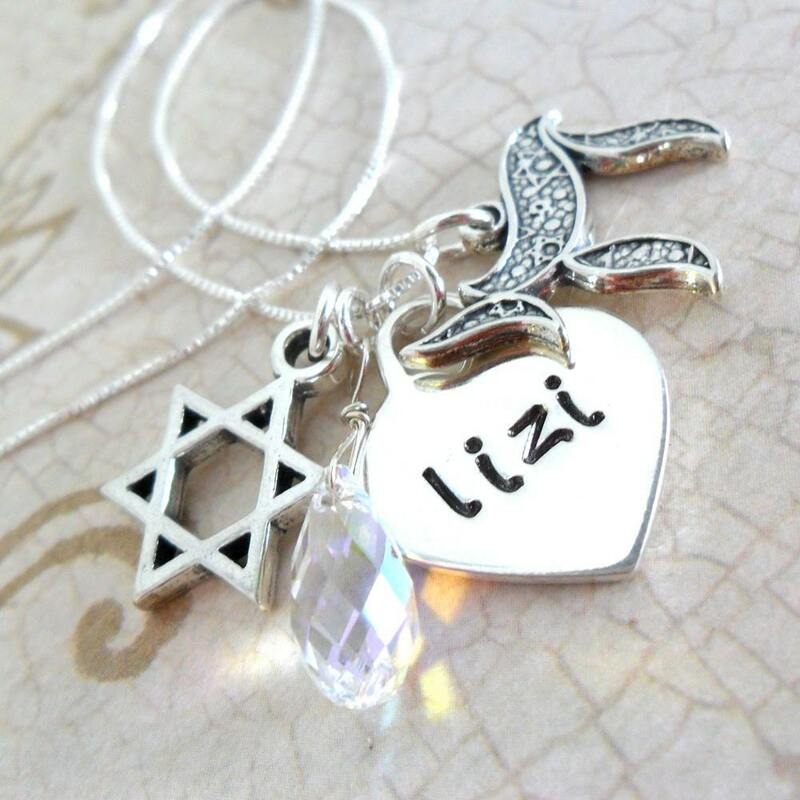 This gorgeous charm necklace is composed of a sterling silver Tiffany-style heart pendant, sterling silver Star of David charm, sterling silver chai charm and Swarovski briolette Aurora Borealis crystal drop. The Tiffany-style heart will be hand stamped with the name you specify and oxidized for darkening of the characters. 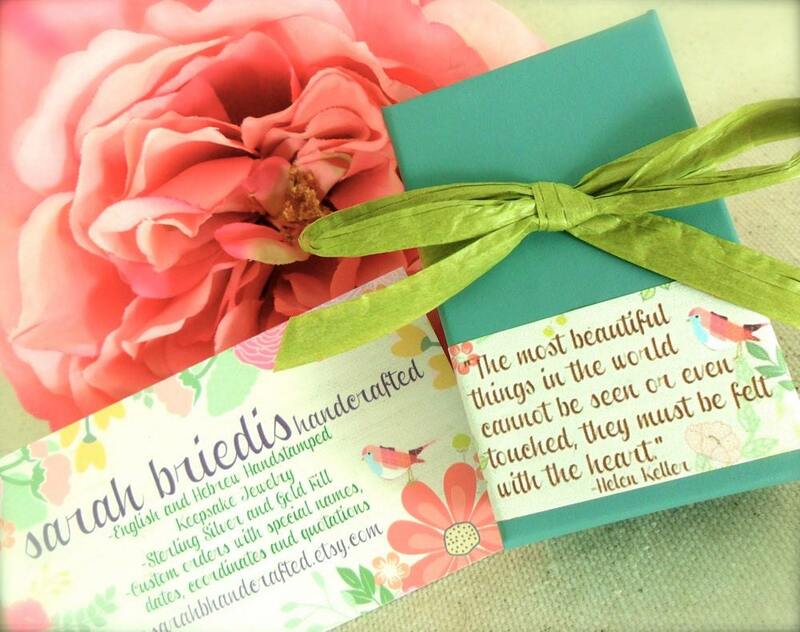 Font choices include handwriting (as shown), Modern Script (English) or my Hebrew font (as seen in my shop). Necklace will arrive with your choice of a 16", 18" or 20" sterling silver box chain. Please specify name & font preferred in the note space provided at purchase. If no font is specified, default will be as shown: handwriting.